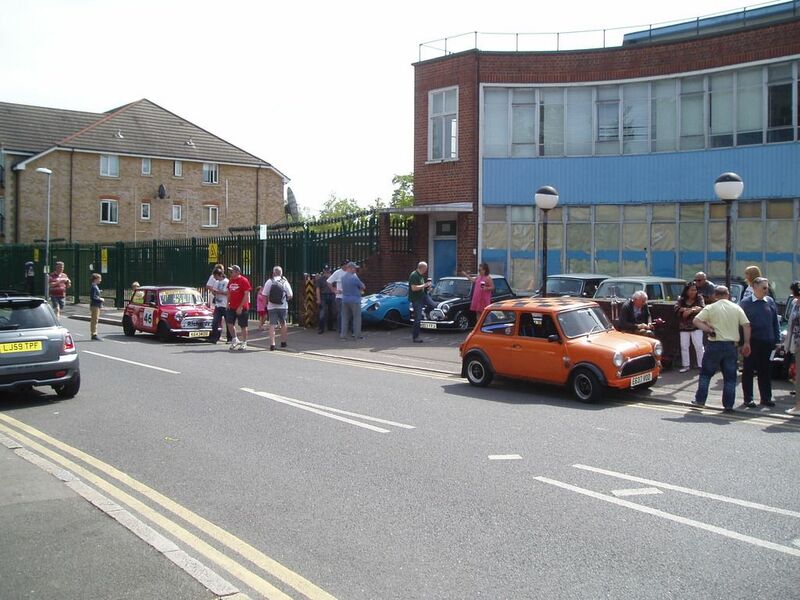 A Jaaag and the two Coopers; presumably somewhere nearby. Off topic a bit (sorry) but we all like old photos don't we......ex Police S owned by a mate of mine in the early 70's. Essex Police also had EWC 457H. 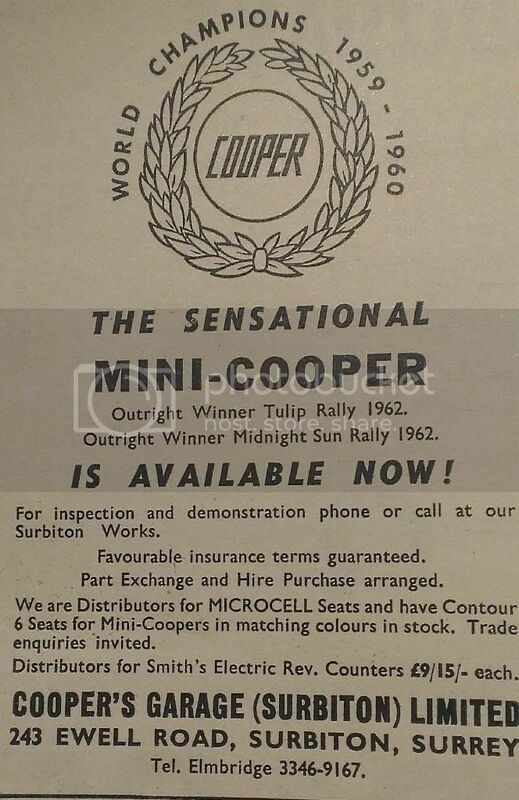 There's film footage of those two Coopers on the web somewhere. 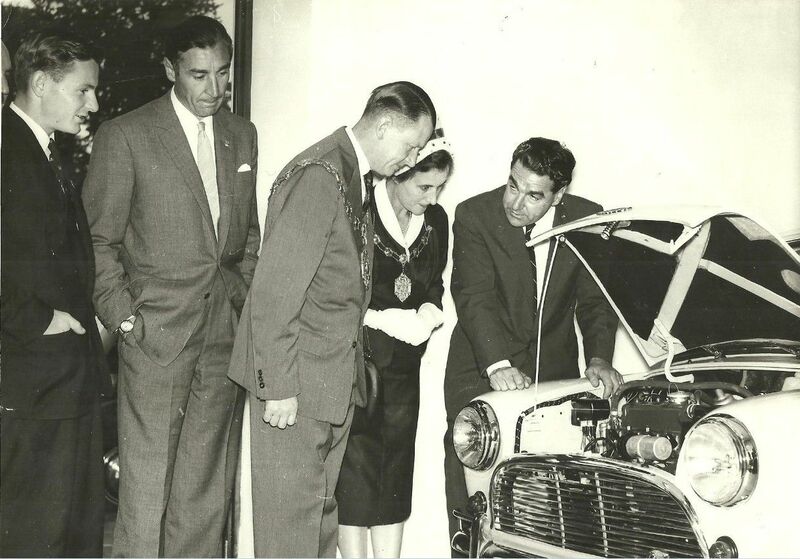 Bruce McClaren, Roy Salvidori, Mayor & Mayoress of Surbiton (Mr & Mrs Greenwood) & John Cooper. 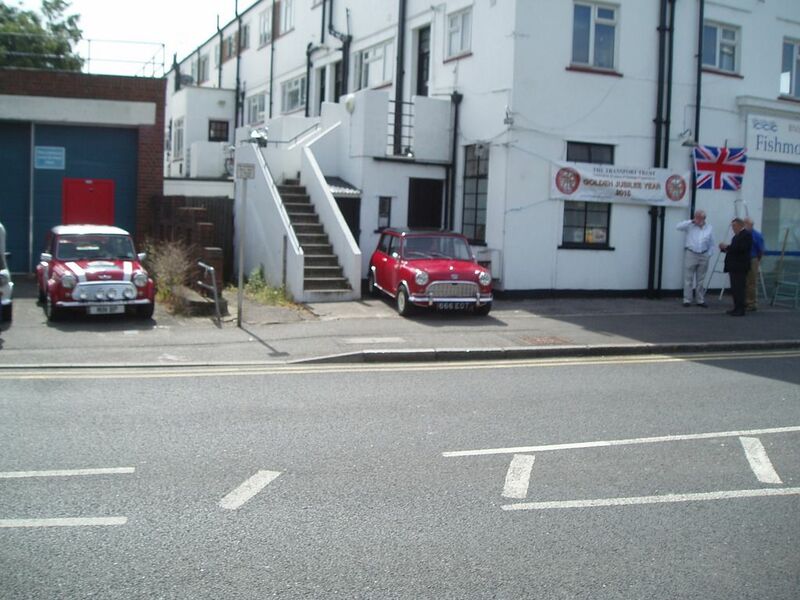 Cooper Car Works was the birthplace of rear-engined Formula 1 racing cars and of the Mini-Cooper. 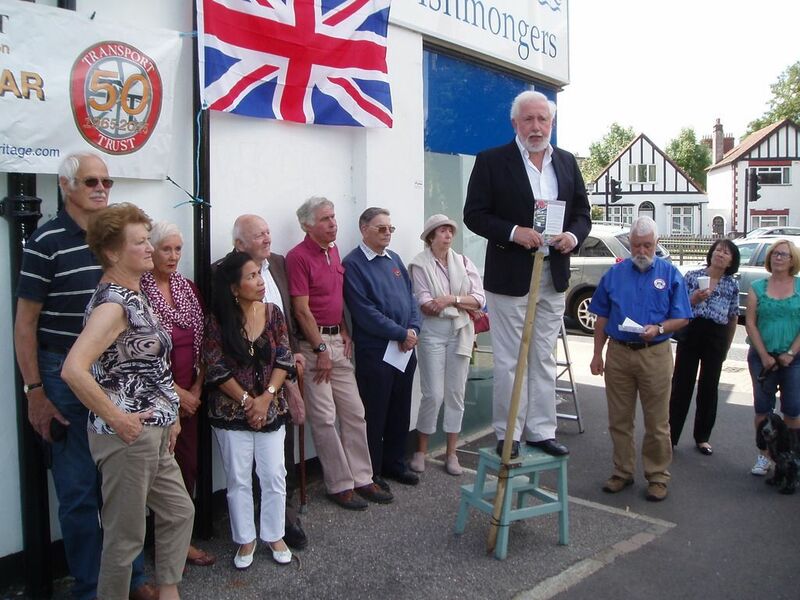 Red Wheel #77 will be unveiled at 12:00 noon on the building at the corner of Hollyfield Road and Ewell Road between Surbiton and Tolworth. 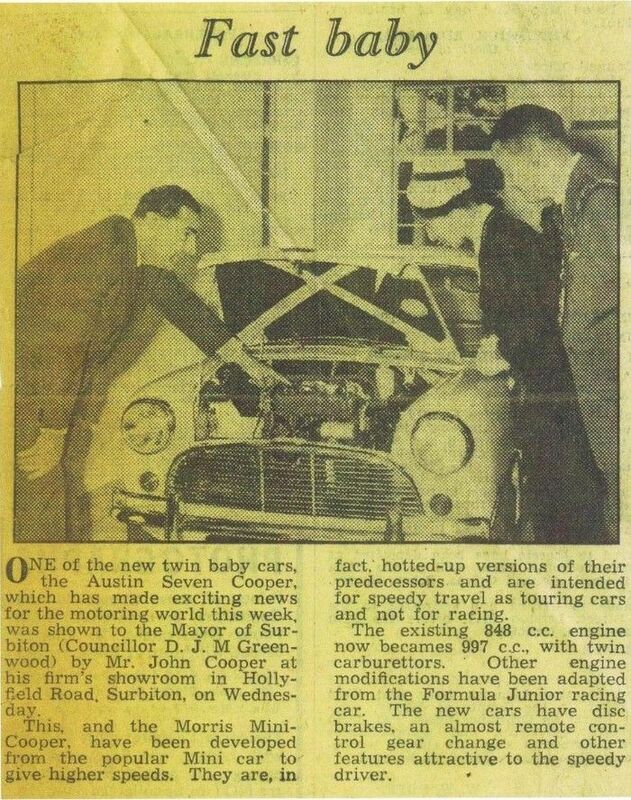 This was at one time the office of the Cooper Car Company (more recently a fish shop) before the more modern garage building was constructed behind it in the late 1950s to house Coopers' development works.This event will be relatively low key with no display of cars but with active support from the Cooper Car Club. Parking has been arranged from 10:00 at the King Charles Centre, King Charles Avenue, at the further end of Hollyfield Road (KT5 9AL). The Red Wheel scheme commemorates Britain's rich and globally important legacy in the development of transport and presents it to a new and wider audience. 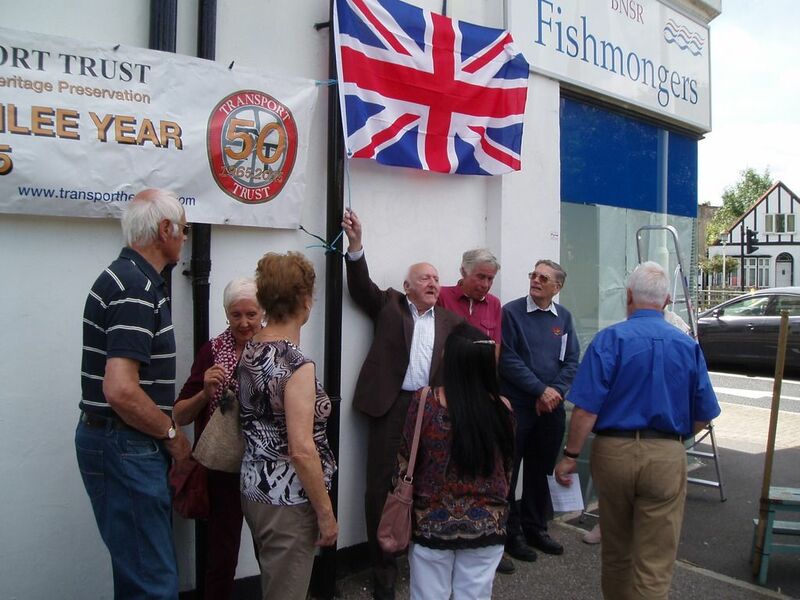 Some of our most significant heritage sites, eg. the Forth Bridge and Channel Tunnel, are household names but many more are currently little known and their importance unappreciated. Drawing advice from local historians, industrial archaeologists and other experts, Transport Trust members are taking a closer look at Britain's transport heritage to determine sites of greatest significance. Whereas many plaque schemes commemorate famous individuals, Red Wheels principally highlight key locations of engineering and transport importance. Nominations are evaluated for their importance, rarity, public awareness and access/'something to see'. We may rank a 'hidden gem' higher than a site already nationally recognised. Most sites will be unique but a few are chosen as particularly good examples of an important category in the built environment. Exceptionally a Red Wheel may be awarded as a reminder to current and future generations of an important former use of a location which has since been obliterated. Where can I find Red Wheels? Red Wheel plaques were successfully pioneered in Derbyshire in 2009 and the programme is being rolled out across the country. 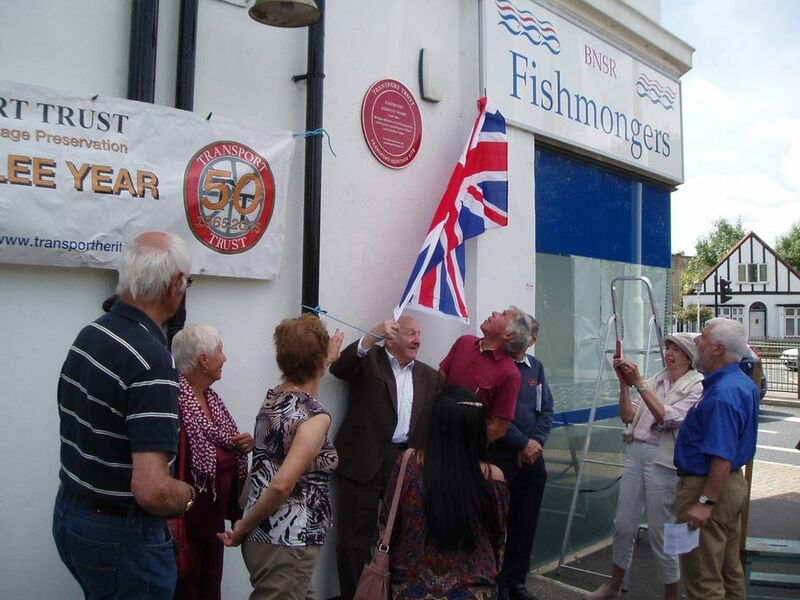 To find out all about the sites selected to receive Red Wheel plaques search in our Heritage Directory (opens in a new window). I only found out about the unveiling late yesterday and unfortunately it clashes with a wedding I have to attend today. Ian if you do go take some photos if possible. 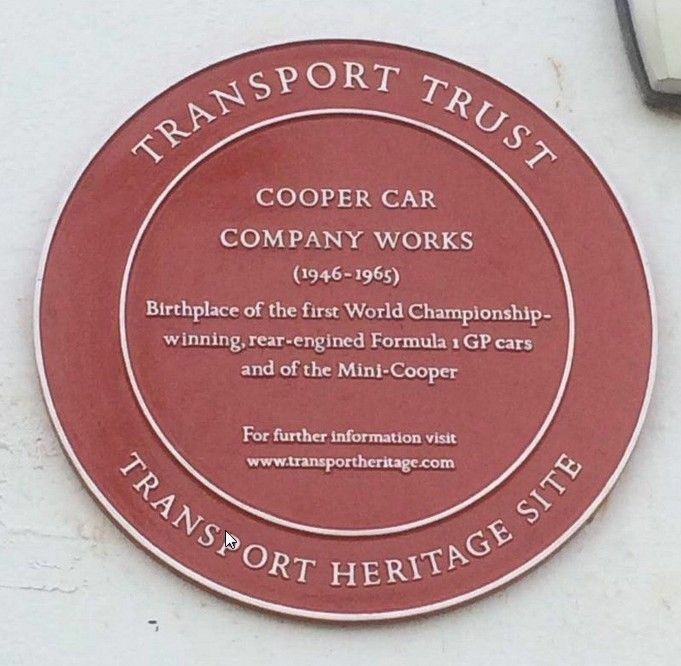 Many thanks to Ian (coop12g295) for sharing the photos below of yesterdays unveiling ceremony of the Red Wheel Plaque at the old Cooper Works in Surbiton. Latest word is that Porsche maybe taking over the site which would be better than a development of flats.....if they retain the oriiginal garage building.